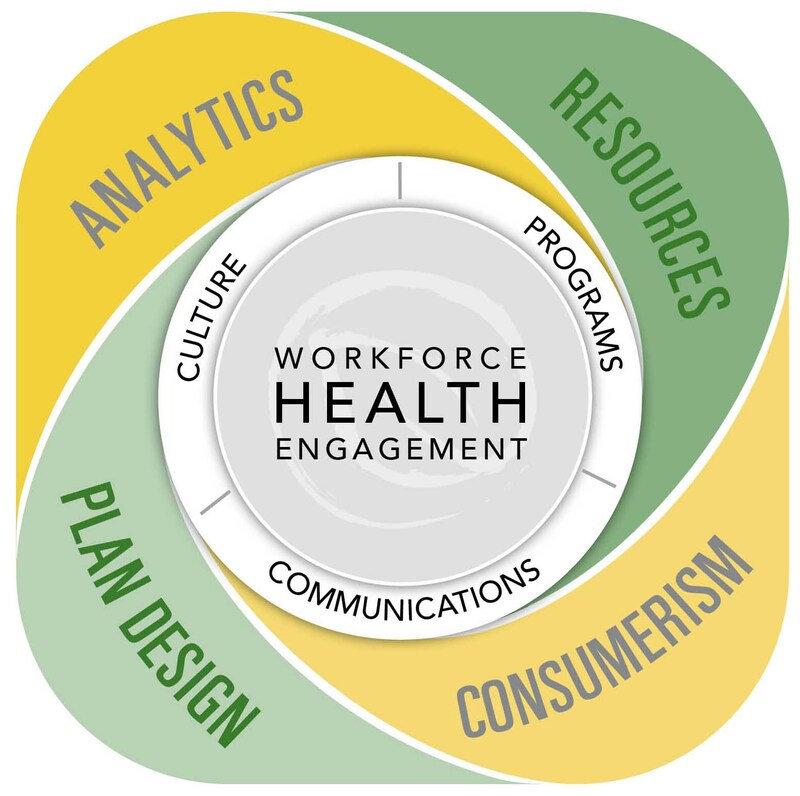 In episode 1, Jesse and his colleague Terry Sherwood defined workforce health engagement as improving the knowledge, decision-making, and behaviors of employees, their families, and organizational leaders to optimize health outcomes, control medical costs, and enhance workplace productivity. According to recent studies, the typical wellness or other workforce health program produces only minimal improvement in long-term employee health and health care costs. Some employers, however, have achieved significant improvement in health metrics and costs, as well as improved employee engagement, productivity, recruitment, safety, and trust in management. One of the key factors to success is whether it’s simply HR’s “program of the day” — or an authentic component of your corporate culture. Over time, these 6 Cs together create the Big C: a culture of health. If your organization has a culture of health, you are more likely to attract healthy and productive employees in the first place, your employees will trust that management truly cares about them, and they will make smarter decisions regarding lifestyle and health care consumption. That’s successful workforce health engagement! Joining Jesse on the show is Terry Sherwood, his colleague from Aspendale Communications. Terry has over 25 years of experience helping companies communicate effectively with their employees. Her diverse background in human resources, corporate communications, and marketing provides a blend of creativity and practicality that delivers results. Terry has held senior consulting positions with several large consulting firms, including PriceWaterhouseCoopers and Towers Watson. Health care consumerism is a key part of most employers’ strategies for workforce health engagement. This involves tools, resources, education, and motivation to help employees and family members make decisions that optimize health outcomes and cost-effectiveness. What types of decisions? It could be choosing an appropriate hospital, a treatment type, a medication, follow-up care, whether you’re maximizing all the benefits as intended, or maybe whether you’re over-utilizing certain benefits such as Emergency Room coverage. In recent years, new technology is helping employers better equip and engage their workforce as health care consumers. Cost Lookup – helps employees compare quality, cost and convenience for a prescription, medical, dental, or vision service with results based on an individual’s plan, network, and location. Healthcare University – interactive website with gamification mechanics, including videos, quizzes and games that teach the basics of health benefits and how to shop for care—weighing things like quality and cost. To help us get a feel for these tools, our guest is Clayton Nicholas, Vice President of Marketing and Strategy for Change Healthcare. Clayton, thanks for joining us. This interview with Clayton Nicholas originally aired on our Game Changer podcast, in November 2013. For more information on Change Healthcare’s product visit their Product Page. To arrange a demo visit their Contact Page or email [email protected]. You can buy a leadership book today for about $25. Or you can get an MBA for about $30,000. But learning about leadership from a few decades of everyday experience and mentors? That’s priceless. Kevin Allen was the pitchman for the “Priceless” ad campaign for Mastercard, which launched in 1997 and continues influence people today. Kevin wrote the Wall Street Journal best-selling The Hidden Agenda: A Proven Way to Win Business and Create a Following. And now he’s back with a new book, The Case of the Missing Cutlery: A Leadership Course for the Rising Star. Jesse and Kevin discuss the big idea in Missing Cutlery, a concept Kevin calls “buoyancy.” Each person in your organization makes a decision about whether to buoy you up after they have assessed your authenticity, empathy, and connection with their true desire. Uncovering the hidden agenda of your people. The hidden agenda comes in three forms: wants, needs, and values. Connecting your leverageable assets as the means to ignite the hidden agenda. These assets are: your real ambition, your credo, and your core. 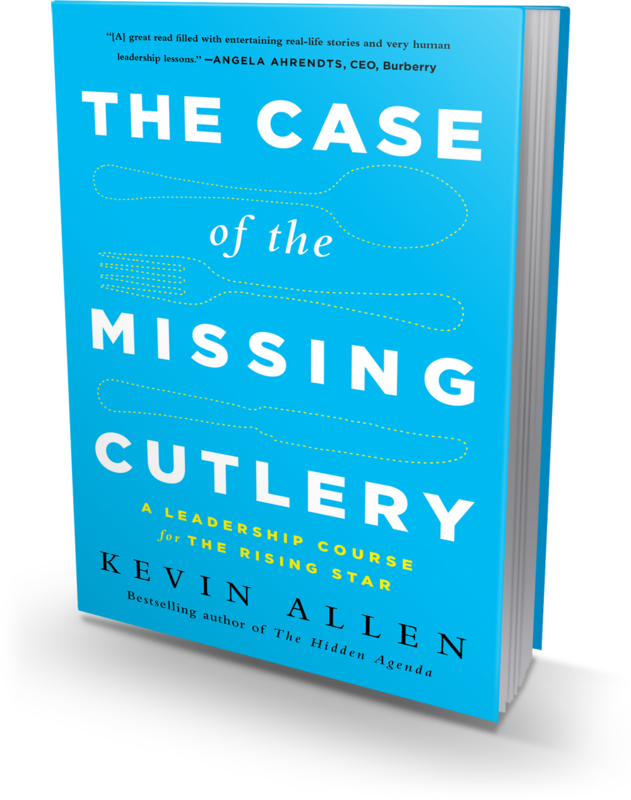 To illustrate the principles, Missing Cutlery follows a true story from Kevin’s own life, in one of his earliest experiences as a young, new leader at Marriott. In addition, Kevin shares several other stories from his leadership at Marriott, McCann Erickson (the huge ad company that developed the “Priceless” campaign), Rudy Giuliani’s campaign for NYC mayor, and now as founder of ReKap, a consulting and software firm that created Planet Jockey, an online leadership development game. To hire Kevin to speak at your next event, contact Fiona Bryan ([email protected]) for Kevin’s availability. It seems common sense that investing in wellness and other workforce health strategies would be worth all the money and effort that employers are putting into them these days. But what is the actual evidence that there’s a return on investment? It’s wise to have a certain amount of skepticism about the vague promises we hear from various program vendors. Also important, different employers have different situations and needs — how do you determine if the strategies you are employing are making a positive difference for your organization? To investigate these questions, Jesse talks to Thomas Wilson, PhD, DrPH, an independent epidemiologist specializing in the design, evaluation, and science-based improvement of population health programs. Dr. Wilson is a long-time friend of Aspendale Communications, as we’ve worked together on several assignments over the years to implement, measure, and refine workforce health engagement strategies. Dr. Wilson is the principal of Trajectory Healthcare, LLC – a strategic epidemiologic consultancy firm. The firm has provided services to Medicare programs, Medicaid Agencies, health plans, care management vendors, employer groups, investment bankers, and non-profit groups. He is the co-founder & board chair of the Population Heath Impact Institute (www.PHIinstitute.org), a non-profit organization advocating for credible, independent, and transparent evaluations of organized population health management programs. In this conversation, Jesse and Dr. Wilson discuss Dr. Wilson’s research on whether wellness and other health engagement strategies are making a positive difference on health outcomes, company costs, recruiting and retention, and more. Through EdisonHealth, members of contracting health plans can gain access to heart, valve, spine, and transplant care at some of the highest-performing clinics and health systems in the United States. 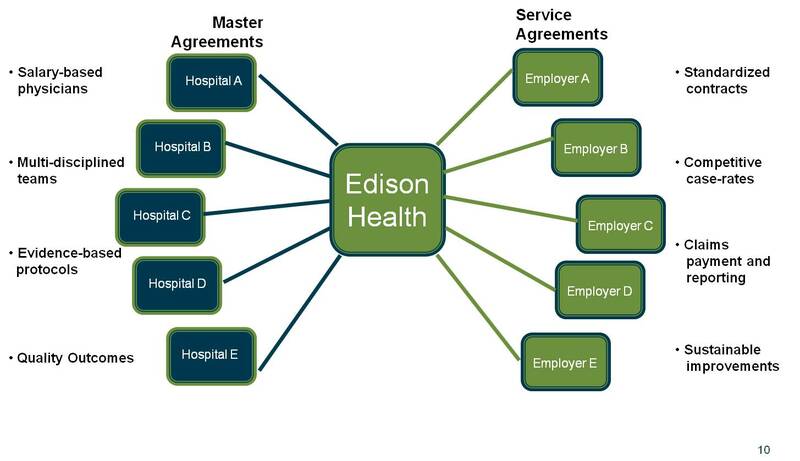 The EdisonHealth Network contracts with first-rate hospitals and clinics, and then extends the exclusive benefits of these contracts to participating employers and health plans along with a suite of care coordination, claims payment, performance reporting and related services. Rick is President and Founder of The Chelko Consulting Group, a boutique health and welfare benefits consulting firm headquartered in Cleveland, OH. Previously, Rick served as a Principal and Regional Practice Leader for Ernst & Young LLP. He is recognized as an industry expert in the areas of health care consumerism, benefits design and management, and health promotion. Rick also serves as the National Co-President of WEB (the Worldwide Employee Benefits Network). At Aspendale Communications, we’ve had solid success in helping employer implement programs that help get employees and their family members to the right hospitals and other providers. As you can imagine, there are pitfalls that can cause patients to ignore those programs, or worse, mistrust the employer or health plan. In this episode, Jesse and Rick discuss the latest trends regarding direct contracts, centers of excellence, and health care consumerism to help employees and their families make choices that optimize health outcomes and cost-effectiveness. Will Your Organization Survive Workplace Wellness? I t’s a good idea to not have blind faith in wellness vendors, but to have a healthy dose of skepticism. For one thing, there are probably leaders and employees at your organization who are skeptical, so you need to anticipate their questions rather than coming across as naïve. More importantly, you should review actual data on the outcomes and think critically about them. Depending on your specific goals for your organization, your wellness program may not actually be meeting your goals. 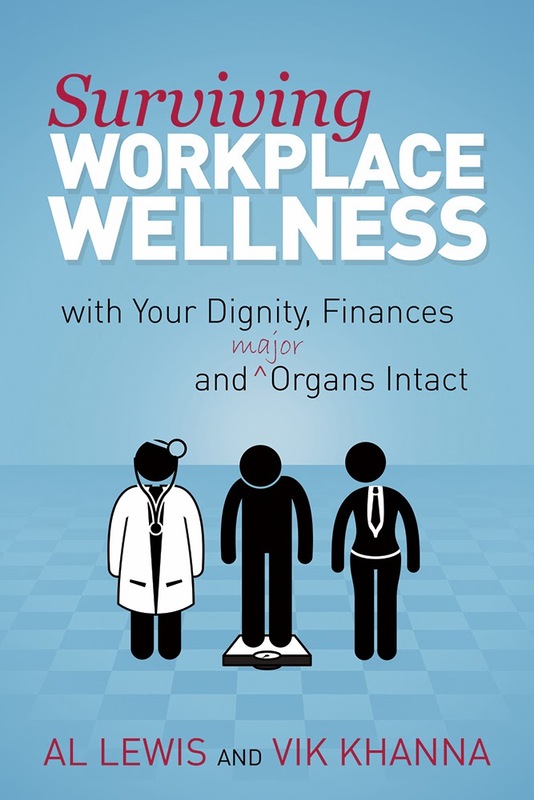 Al Lewis and Vik Khanna’s book Surviving Workplace Wellness…: With Your Dignity, Finances and (Major) Organs Intact sounds the alarm on what they call the “pry, poke, prod” model of corporate wellness … using financial incentives to drive employees to get a health risk assessment (pry), biometric screening (poke), and treatment based on the assessment/screening results (prod). Due to a high risk of false positives, they say, the “pry, poke, prod” model can lead to “hyper-diagnosis” and unnecessary tests and treatment, which is dangerous for patients and drives up health care costs. I think that’s a valid concern. Many large employers have “plugged in” a wellness program promoted by a vendor, and they are “acting on faith” that what seems like common sense (early diagnosis and management of health risks and especially diseases should lead to improved long-term health and reduced costs) will really come to pass. But rather than analyzing the data to evaluate whether they’re achieving their desired outcomes, they are trusting the wellness vendor to tell them whether it’s working (letting the fox guard the henhouse). Worse, the “pry, poke, prod” approach seems to promote an overly invasive approach to health care that may be harmful for your workforce. It’s a little like investing … the average “actively managed” mutual fund performs significantly worse than an index fund. If you run to the doctor for every little thing, the average doctor (who typically feels compelled to provide some sort of treatment) may at times write a prescription, order an invasive test, or recommend a surgery that you don’t really need, that isn’t the best next step to try, or that actually does more harm than good. On the other hand, done right, “pry, poke, prod” may be exactly what your workforce needs right now. For example, at one company we work with at Aspendale Communications, the workforce is predominantly male (who typically place a low priority on health care), located in rural areas (where health care is not convenient), with low turnover (likely to stay with the company for many years). Several years ago, the company retained an epidemiologist to study their medical claims data, and discovered signs that the workforce had abnormally high levels of undiagnosed early-stage cardiovascular disease and diabetes. The company took a thoughtful approach to promoting screening and early treatment; as a result, over time the number of serious conditions (and expensive hospital admissions) was significantly reduced. How the program design, the specific health professionals involved, and the supporting communications and education will affect the organization’s culture and employer brand. It’s important to note that Lewis and Khanna are much less critical of health initiatives outside of the “pry, poke, prod” model. But they do make you stop and think about whether each initiative will truly be worth what you spend on it. I was reminded of one of the conclusions from this year’s study by the non-profit research group RAND Corporation. Screening all employees for health risks and offering one-to-one counseling and coaching to those with such risks is expensive, but other interventions, such as offering healthy food choices and launching educational campaigns to use the stairs, are not. The book echoes this sentiment. In addition, Lewis and Khanna agree that better follow-up programs for people who have known risk factors (“follow-up for the few instead of screening the many”) can be useful. And they praise companies like Healthways who offer employees an integrated blend of health-engagement initiatives that create an overall culture of health. Should Business Leaders Read This Book? In a word, yes. This book is a fun read that asks challenging questions … questions that business leaders should seriously consider … questions that CEOs and HR leaders can anticipate from their employees … questions that benefit directors can anticipate from their CFOs. [Safeway’s] healthcare savings, by the way, were due [not to their wellness program but] completely to an overhaul of medical benefits that put more of the financial burden on employees. That’s a great one-liner that will tick off employees, but I wasn’t convinced that Safeway is a poster-child of cost-shifting, rather than wellness. So I’m skeptical of some of the book’s conclusions, but my interest is definitely piqued. I have not yet read Al Lewis’ previous book Why Nobody Believes the Numbers (a more technical book written for business leaders), but now it’s on my wish list. Second, the book reads more like a blog, often using a link to hint at a logical argument (like this) rather than clearly laying out the argument right in the book. Often the book provides links that promise evidence for various claims made by the book. It was a pain to follow those links from my Kindle Paperwhite (a great device for reading, a crummy device for surfing). But even if read on my iPad, it makes for a dissatisfied book-reading experience. When I read a book, I want an in-depth, long read … a different type of experience than surfing the web. Beyond just a personal preference (which I would guess is shared by most book readers, which is why they are reading a book rather than blogs), this is an expectation that the book author will lay out a cohesive argument, including quotes of the specific passages of other literature that they are commenting on. Too often I would follow a link, read the entire article being referenced, and then wonder why Lewis and Khanna believed that article truly backed up their claim. [This book has] shown you that there is so much broken in your health benefit, so many self-interested providers, vendors, and consultants feeding at your trough, and so much angst among your employees, that it might simply be a better idea to focus on your base business – and let the health insurers handle the health insurance. Right and responsibility of large employers. In the U.S. today, the expectation is that large employers pay the majority of the cost for their employees’ health care. As long as that’s true, employers have the right (and responsibility to shareholders) to be wise stewards of how their health care dollars are being spent. No, they shouldn’t blindly spend money on programs that don’t work. Yes, they should look for solutions that truly make a positive difference on health outcomes and expenses. Influence of large employers. Historically doctors, insurers, and the government have not been effective in controlling medical inflation, which is spiraling upward much faster than general inflation. Large employers are in a unique position to analyze aggregate claims and screening data to make data-driven decisions, influence employees to adopt healthier lifestyles, and help employees choose the providers and treatment options that are most likely to lead to optimal outcomes for a fair price. Do people fully trust employers in the area of health? Nope, but they don’t trust hospitals or the government to have their best interests at heart, either. At many companies, employees reasonably believe they and their company have long-term interests that are aligned, which is more than can be said for their beliefs about politicians, insurance companies, and hospital executives. Whether you or not you like or agree with the book’s message, Lewis and Khanna are asking some important questions. You owe it to yourself to look into them, and also to be prepared to answer these kinds of questions. Being proactive about potential tough questions from employees, your CFO, and other areas of your organization is just one implication regarding how you communicate your health programs. My colleagues and I at Aspendale Communications can help you audit how you’re currently communicating and develop a strategy that will help you meet your objectives. The Planet Jockey Game is based on actual situations and dilemmas drawn from the experience of real CEOs and other senior leaders of Fortune 500 companies. 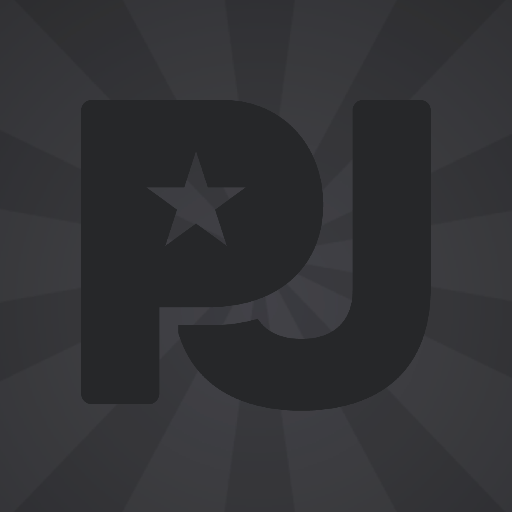 Planet Jockey trains users to become emotionally intelligent leaders by adopting the concept of buoyancy, the phenomenon whereby, as a leader, you float because the people you have inspired believe that you should. They believe in you because you have understood, connected with and ignited the deep desire that lies in their hearts. One of the most common components of a workforce health strategy is wellness communication and education … messages and information to motivate and equip employees and their families to avoid or reduce health risks, improve wellbeing, and prevent the development of serious (and expensive) health problems. Often a wellness program vendor, as part of their standard program, will include some wellness communication and education — for example, in website articles, postcards and e-cards, and newsletter articles. A big problem, though, is people are already bombarded with conflicting health information … “the most important thing is to include whole grains in your diet,” “grains and other carbs are bad for you,” “probiotics boost immunity and digestion,” and so forth. While the company’s efforts may be well-intentioned, employees can end up feeling confused or overwhelmed. It doesn’t influence behaviors in a positive way, and it doesn’t boost employee trust and confidence in your overall health care strategy. 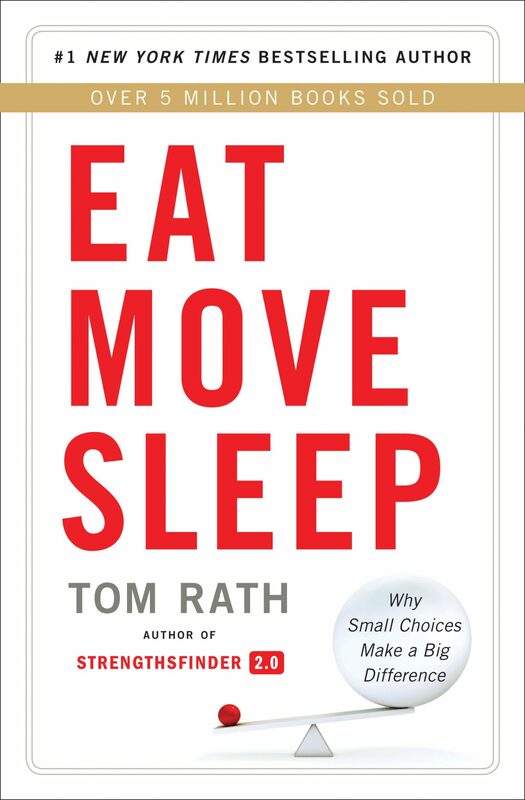 So it caught our attention at Aspendale Communications when research scientist Tom Rath published the book EAT MOVE SLEEP: Why Small Choices Make a Big Difference. Tom is a senior scientist at Gallup, where he helps people and organizations reach their potential. His books have sold more than 5 million copies. His previous bestseller was Wellbeing: The Five Essential Elements – an important little book that’s given us great insight in helping our clients improve employee wellbeing in areas like physical health and financial health. His newest book EAT MOVE SLEEP goes into a deeper dive on physical well-being. In EAT MOVE SLEEP, Tom cuts through the clutter of health information to discover what really works – what holds up to the scrutiny of a researcher and scientist. And for Tom, the research was personal, as he has been battling cancer for two decades. Along the way, Tom discovered small steps that can provide more energy in the moment and improve long-term health along the way. He also discovered a virtuous EAT MOVE SLEEP cycle … eating better makes it easier to move and sleep better, moving more makes it easier to eat and sleep better, etc. This “three-legged” stool of health is a great framework for wellness communications, and the book provides a lot of simple steps that can be put on auto-pilot and make a difference. At Aspendale, we’ve been gleaning from Tom’s findings and practical suggestions from EAT MOVE SLEEP and creating infographics, posters, newsletter articles, videos, and more. It’s been helpful to a number of our clients because rather than adding to all the clutter of conflicting health information, gimmicky diets, and so forth, these employers are providing information that’s more evidence-based and holistic, along with suggestions for small, sustainable steps that employees can take in real life. That builds confidence and trust in the employer and their onsite or offsite health coaches. Rather than making employees feel confused or overwhelmed, this wellness communication and education is helping support an overall culture of health. This interview with Tom Rath originally aired on our Engaging Leader podcast, in October 2013 when the book was first released. 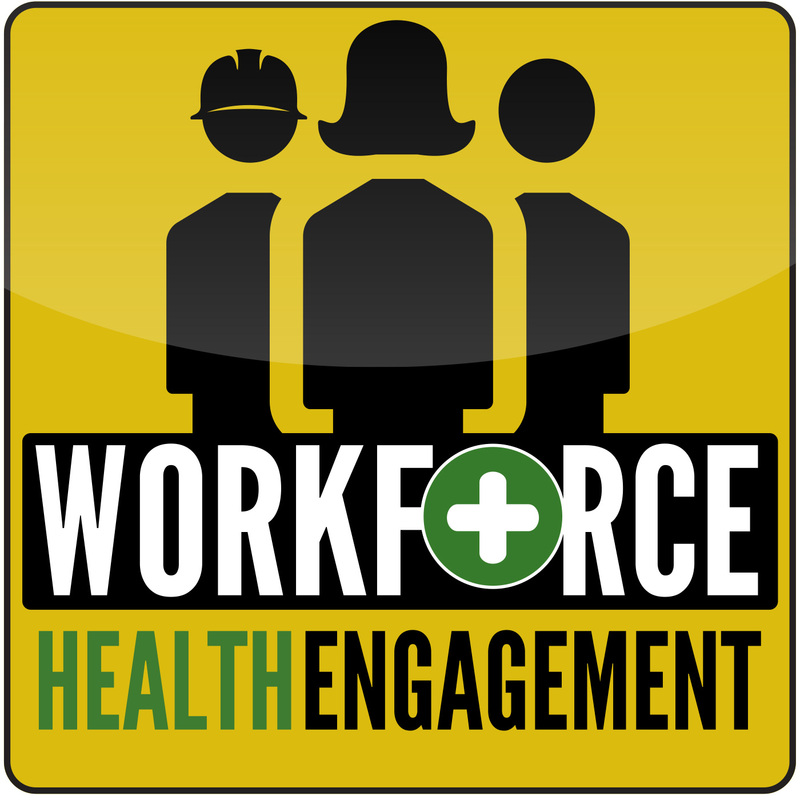 Workforce health engagement: improving the knowledge, decision-making, and behaviors of employees, their families, and organizational leaders to optimize health outcomes, control medical costs, and enhance workplace productivity. Over the course of this series, some of the episodes will discuss specific strategies for improving workforce health and managing costs. For example, wellness communication and education, steering employees to appropriate hospitals and providers, epidemiology and population health management, online tools for health care consumerism, healthy workplace eating options, gamification, workplace clinics, benefit plan design, disease management, and more. Analytics: Identifying patterns, causes, and effects of health conditions in defined populations; selecting health interventions from the full health care spectrum (wellness to complex care); and evaluating outcomes to help the organization get the best return from its health care spending. Consumerism: Tools, education, and motivation to help employees and family members make decisions (regarding provider, treatment type, medication, follow-up care, etc.) that optimize health outcomes and cost-effectiveness. Plan Design: Provisions of employer-sponsored health care coverage that influence how health care services and pharmaceuticals are selected, purchased, and used. Resources: People, technology, programs, and activities designed to promote healthy lifestyles, prevent the onset or acceleration of disease, and improve recovery from illness or injury. Examples include screenings, workplace fitness facilities and activities, care coordination, disease management, workplace clinics, telemedicine, workplace food options, and more. Culture/Programming/Communications. Engagement strategies and tactics to influence attitudes, behaviors, and habits regarding health consumerism, plan design, and resources and coaching. If you’ve created a great little coffeeshop, how do you expand and put your coffeeshops in cities around the world without watering down what makes your coffeeshop great? That’s a question that Starbucks certainly struggled to answer. Or, if you have a key practice or mindset — for example, lean manufacturing — how do you spread it throughout your organization? It’s a question of scaling up … taking a pocket of excellence and expanding it. But it’s really hard. There are countless example of organizations who try to scale up but end up just spreading mediocrity — or worse, their efforts to expand actually ruin the organization. Bob Sutton and Huggy Rao, researchers and professors from Stanford University, spent seven years studying this question. 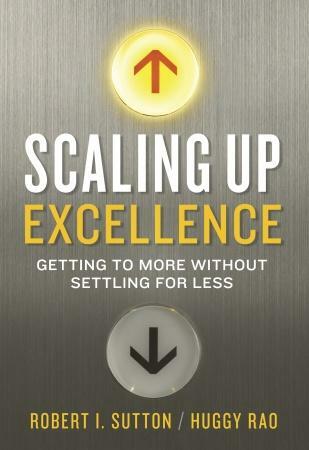 And now they’re sharing their findings in their new book Scaling Up Excellence: Getting To More Without Settling For Less. In this episode, Jesse interviews Bob Sutton, whose previous six management books include New York Times bestsellers The No A**hole Rule and Good Boss, Bad Boss. It’s a ground war, not just an air war: bombarding people with a training session or quick communication campaign doesn’t work; it requires pressing each person, division, and group to make one small change after another in what they believe, feel, or do. Guardrail strategy: specifying as few constraints as you possibly can—picking those precious few that matter most and pack the biggest wallop, and then leaving people to steer between and around them as they see fit.